It's an effective and helpful application especially for English language learners..
how to join for British accent n pronunciation course. Our accent program uses native English speakers and everyday language to naturally and quickly improve your pronunciation. Your voice not only communicates your message – It can talk a great deal about your image. You may like it or not, people prejudge you based on how you communicate; in short, your success professionally will depend on your speaking skills and accent. Our Voice and Accent training programme would focus specifically towards reducing your regional accent and help you speak as close to the native British accent. Even though you know the vocabulary and the endless grammar rules, you still find it difficult to pronounce English words correctly. This struggle with the English language can make communicating with native English speakers a frustrating experience for both, you and them. You Supposedly have a regional accent, an accent that is normally expected of most non-native English speakers. You may have a good knowledge of the English language but that does not guarantee a good accent. So, what does a good accent mean? It means, an accent that is easy on all ears across the globe, an accent that is understood by all in the international community, no matter who the listener is an American, British, Australian or a Canadian or people from any other country. This Accent is called the neutral accent. With our voice and accent training program, improving your English Accent is easy and enjoyable. Our training program helps to learn and master the most challenging characteristics, such as troublesome vowel sounds, difference in stressed and unstressed syllables and words, which make you sound like a native speaker. This training module develops you to shave off the excess regional accent from your current accent, and develop neutral accent naturally. 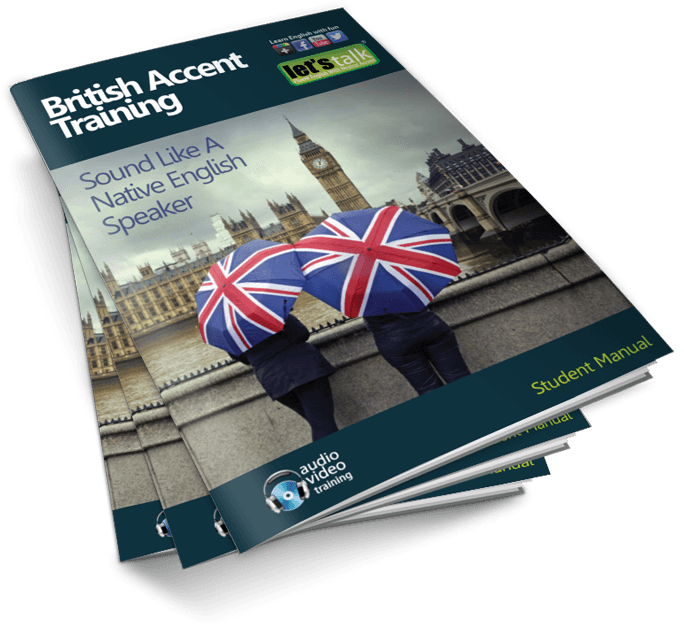 This accent training module gives you the understanding of the American/British way of speaking, culture and diversity. Let’s Talk Accent Training program is a highly specialised course offered to you by professional voice coaches. Our course offers accent reduction, practice in American/British phrases and conversation, and learning the rhythm of standard American/British spoken English. This course goes beyond merely teaching grammatical structures of the English language, our focus is on how you sound when you speak and how effectively you communicate with others around the world. We agree that there is nothing wrong with speaking with an accent; however, we are aware that many people would like to improve their English speaking skills by reducing their accent. Our goal is to help you gain more confidence and effectiveness in your English speaking skills by reducing the influence of your mother tongue or regional accent. Carefully designed course manual keeping in mind the struggle faced by non-native English speakers. The troublesome vowel and consonant sounds are well explained with audio demonstration to catch the right jaw and mouth movement. Which Words Should I Stress? Why You Struggle To Change Your English Accent? When you enrol for our voice and accent training program, you will follow step-by-step exercises, your accent will start to change and you’ll sound like a native British speaker – in just 2 weeks of the program.